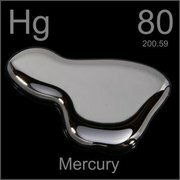 Cleaning up mercury pollution and reducing prenatal exposure to the neurotoxin methylmercury (MeHg) could save the European Union EUR 10,000 million per year, finds a new study published in BioMed Central’s open access journal Environmental Health. New estimates suggest that between 1.5 and 2 million children in the EU are born each year with MeHg exposures above the safe limit of 0.58µg/g and 200,000 above the WHO recommended maximum of 2.5µg/g. While some mercury occurs naturally in the environment for example from volcanic eruptions or forest fires, most is generated by burning fossil fuels. Marine and fresh water species bioconcentrate MeHg; consequently the main source of exposure for humans is from eating fish. A team of researchers from across Europe used the DEMOCOPHES study of exposure to environmental chemicals to assess the impact of MeHg on humans. Hair samples of child-mother pairs, collected from 17 European countries, demonstrated that, as a lower estimate, 1,866,000 children are born in Europe exposed to toxic levels of MeHg. 232,000 of these are exposed to hazardous levels, five times higher. But not every child in Europe is equally at risk. When analysed per country, children born in Portugal and Spain were the most exposed to MeHg, and Hungary the least. Exposure to MeHg in humans affects brain development, resulting in a lower IQ, and consequently a lower earning potential. The long term cost to society can be calculated as lifetime earning loss per person, although this estimate does not take into account other aspects of brain toxicity or risks of cardiovascular disease in adults. Bellanger M, Pichery C, Aerts D, Berglund M, Castano A, Cejchanová M, Crettaz P, Davidson F, Esteban M, Exley K, Fischer ME, Gurzau AE, Halzlova K, Katsonouri A, Knudsen LE, Kolossa-Gehring M, Koppen G, Ligocka D, Miklavcic A, Reis MF, Rudnai P, Tratnik JS, Weihe P, Budtz-Jørgensen E, Grandjean P. Economic benefits of methylmercury exposure control in Europe: Monetary value of neurotoxicity prevention. Environmental Health 2013, 12:3 doi:10.1186/1476-069X-12-3. Every person today has been touched or will be touched by the loss of a loved one to illness and premature death. In a time when modern medicine and science have made such enormous advancements, why is this so? The film identifies the effects of animal agriculture upon the environment. There are many ways of reducing impact upon climate change. “Livestock are responsible for about 18 percent of the global warming effect, more than transportation’s contribution.” “At present, there are about 1.5 billion cattle and domestic buffalo and about 1.7 billion sheep and goats. With pigs and poultry, they form a critical part of our enormous biological footprint upon this planet. Food and Agriculture Organization of the United Nations Through interviews with top experts in the field of medicine, ecology and nutrition, this documentary explains why people in the Western World are subject to the unprecedented epidemic of ill health. The film, written by Aaron Scheibner, shows a way out of this cycle of sickness, both human and environmental. We don’t think about where our food comes from and what it does to our body and mind or what impact it has on the world around us. A Delicate Balance -The Truth (2008) is a succinct production featuring candid, heartfelt interviews with some of the world’s leading experts (including mainstream researchers, doctors, nutritionists, cattle ranchers, environmentalists and politicians) from Harvard to Cornell to Tufts. 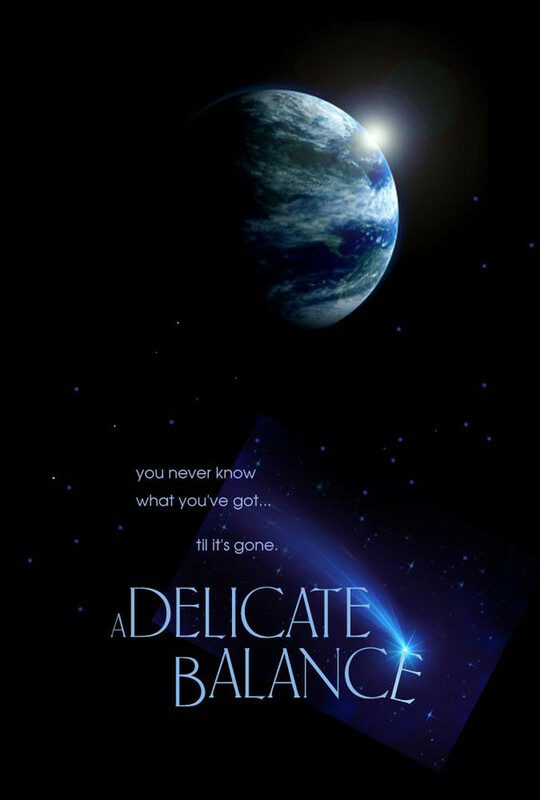 A Delicate Balance was made in order to help reduce the unnecessary loss of human life, to reduce the suffering of animals across the planet and to help empower people to make environmental change. What does an environmentally friendly biodynamic food system capable of feeding everyone actually look like? 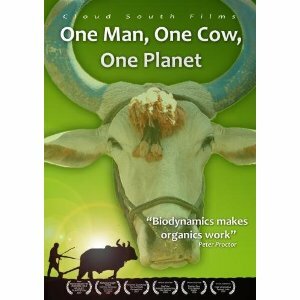 The film One Man, One Cow, One Planet (2007) is a blueprint for a post-industrial future. It takes you into the heart of the world’s most important renaissance. The outcome of the battle for agricultural control in India may just dictate the future of the earth. Modern industrial agriculture is destroying the earth: Desertification, water scarcity, toxic cocktails of agricultural chemicals pervading our food chains, ocean ecosystem collapse, soil erosion and massive loss of soil fertility. Our ecosystems are overwhelmed. Humanity’s increasing demands are exceeding the Earth’s carrying capacity. A simple recipe to save the world? One old man and a bucket of cow-dung. Are you crazy? Modern agriculture causes topsoil to be eroded at 3 million tons per hour (that’s 26 billion tons a year). Human mass is replacing biomass and other species. The carrying capacity of the earth is almost spent. To maintain our comfort zone lifestyles we will soon need five earths to sustain us in the style to which we have become accustomed. The mantra of free trade has failed the world’s poor. There is a better way. Biodynamic agriculture may be the only answer we have left. 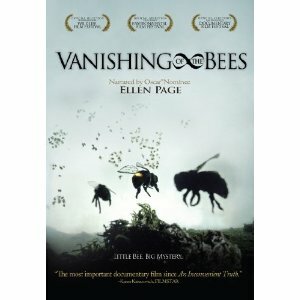 Vanishing of the Bees (2009) follows commercial beekeepers David Hackenberg and Dave Mendes as they strive to keep their bees healthy and fulfill pollination contracts across the U.S. The film explores the struggles they face as the two friends plead their case on Capital Hill and travel across the Pacific Ocean in the quest to protect their honeybees.